I caught a hint of a large gray beast moving through the dense pines 100 yards out and knew immediately it wasn’t a bear or deer. A critter that color and size in that area had to be a wolf, so I pulled a predator call out of my jacket pocket and started a series of muffled rabbit squeals and squalls. The gray form stopped moving through the trees and started drifting cautiously toward me. Wolves are sharp and innately cautious. This one came a few yards, stopped, looked and listened, and then slinked a bit closer. I had the feeling it had been attracted by the bear bait before and was well aware of the human disturbance in the area, but the alluring sounds had piqued its curiosity or perhaps whetted its appetite. The thunderstruck wolf bolted out of there on the dead run, and I bet that’s the last time it gets near a bear bait. Fortunately for the wolf, and unfortunately for me, I was bear hunting in northern Saskatchewan where nonresident aliens (U.S. citizens) aren’t allowed to take any kind of predator. Still, the thrill of suckering the king of the predator clan into bow range is one I may never forget. I doubt there is a serious predator hunter in the country who hasn’t dreamed of adding a wolf hide to his den wall. I spent three weeks hunting wolves in Alaska a few years back and learned firsthand what efficient killers these alpha predators can be. My host and ardent wolf hunter Jack Frost and I flew thousands of miles over the wilds of Alaska, and I saw graphic evidence of just how efficiently wolves are ridding the area of big game. In one valley, we saw where wolves had pulled down eight moose and only eaten a portion of one before moving on to hunt again. In another area, we were tracking a pair of wolves from the air when we found a calf that they’d pulled down. The calf had been hamstrung and gutted and then left untouched as the pair chased the cow. Within a mile, they’d pulled her down in the deep snow and killed her with equally apparent ease. Once again, they hadn’t taken a bite of meat. We finally tracked them down some 5 miles from the cow on their way to yet another valley. We ended their killing spree and collected two prime wolf pelts when they made the mistake of heading across an open lake. At the time, it was and still is illegal to shoot wolves from an aircraft in Alaska, unless it’s in a specific wolf control zone under dispensation from the Alaska Fish & Game Department. 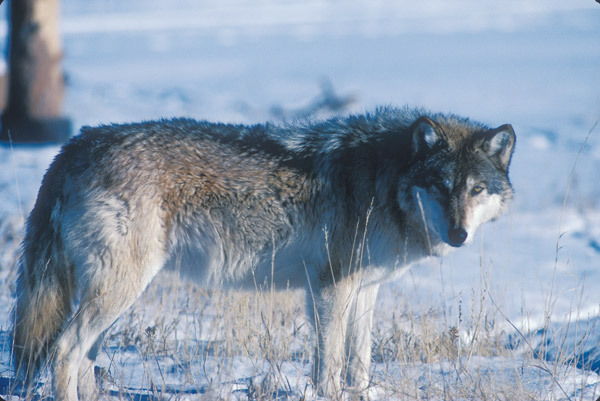 Using an aircraft to track wolves is effective predator control, not sport hunting, and not for the faint of heart, as the high attrition rate of damaged aircraft and pilots will attest. Fortunately for me, Jack was a skilled pilot and also a very skilled hunter. Jack was literally tracking wolves from the air, and once I caught onto the knack of distinguishing wolf tracks from all of the other critters roaming the vast Alaska tundra, it was as intriguing a hunting endeavor as I’ve ever undertaken. 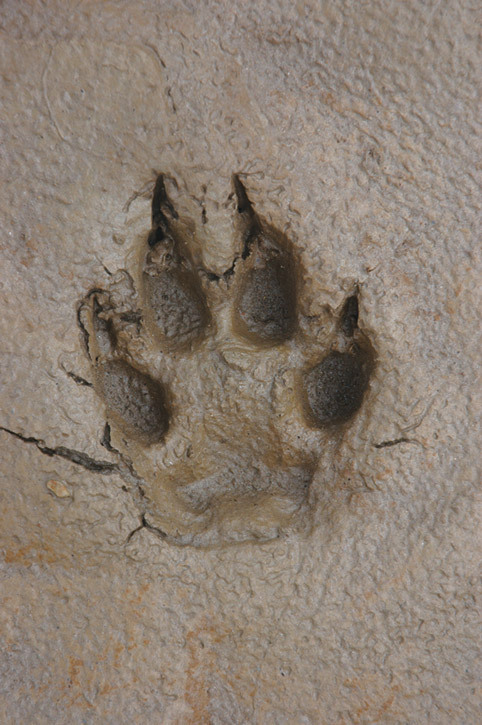 The idea is to locate wolf tracks from the air and then follow them until you see the wolves. Most of the tracks simply vanish in the snow or heavy cover. Contrary to common belief, you don’t chase wolves down with the plane. Once you spot a pack of wolves, you stay back from them so they don’t run. If you did chase them in the deep snow, they would quickly tire and simply lay down in cover where you couldn’t get a shot. You circle, wait and watch until the wolves move into the open where you can land on skis and then exit the plane for a shot while the departing wolves are still in range. Sounds simple, but we flew for days without locating a pack that moved into the open where we could land. We spent most of one day trailing and hanging back watching a pack of 14 moving through the brush and timber before deciding to look for more cooperative animals elsewhere. The following day, another predator hunter caught the pack crossing an open lake and killed 10 of them. On one occasion, Jack pushed the envelope a bit for a gorgeous white wolf that we’d located and stayed within sight of most of the previous day. After tracking and locating the wolf again, and staying within sight for several hours, we watched the wolf trotting along a ridge and Jack saw a chance to land below the wolf, ski the plane over the ridge, and perhaps get a shot. He had no trouble landing on the clear slope below the ridge, but when the plane topped the slope, what we thought was knee-high brush turned out to be 8-foot pines that bent a strut and busted the plane’s tail. In minus 20 cold and 4 feet of snow—150 miles from the nearest village—this was not good. We also missed the wolf. We managed to wire up the tail with trapping wire and a couple of birch limbs. Jack offered to try flying the plane alone, leaving me there until he could get back with a safer plane. Nice thought, but if he went down, I figured I’d be a “peoplecicle” before anyone could find me out there. So we cut a path through the pines down the slope and took off. Didn’t have the use of the elevators on the tail but made it back to Anchorage and landed in great shape. We loaded our gear in Jack’s other plane and went wolf hunting the next day. Nobody said dyed-in-the-wool predator hunters have to be smart. Those two weeks provided some of greatest experiences in my hunting life. Fly all day, land in some far village at night, fuel up and fly again the next morning. I got to see Alaska like few people ever will and also learned firsthand the way wolves decimate big-game herds where it is difficult if not impossible for wildlife managers to control wolf numbers. Several years ago, I hunted Dall Sheep with Coke Wallace out of Healy, Alaska. Coke is a confirmed wolf trapper who has made the news on several occasions by snaring or trapping a radio-collared wolf that has ventured out of Denali National Park, where they’ve virtually eaten themselves out of big game. Coke hunts from horseback, and he figured we could cover enough ground in his area to have a fair chance of getting within calling range of a wolf. Sounded great. Several friends in Alaska hunt wolves by howling and calling, but it’s such big country that getting within calling distance on foot is a feat in itself. On the third day, I took a trophy Dall ram under a clear blue sky and really looked forward to the rest of the week trying to call up a wolf or even a grizzly. But Alaska’s infamously miserable weather moved in that night, with 40-mile-an-hour winds, rain, sleet and snow. It stayed that way the next eight days. We couldn’t even fly out of camp. So much for calling wolves. A few outfitters in Canadian provinces other than Saskatchewan do cater to predator hunters, including those who go north for wolves. Most of the outfitters put their clients in blinds over bait piles, which is by far the most effective way to get a shot at the cagey predators. In some of these areas, it is possible to call a wolf into rifle range, and I had such a hunt booked with an outfitter in Manitoba. I was really looking forward to challenging wolves in their homeland with my predator calls, but the outfitter got in a tussle with a 4-wheeler and ended up with a badly shattered hip and leg that ended his hunting endeavors for that year. The key to successfully hunting wolves, other than from the air or over bait, is locating them by howling. Wolves are extremely territorial and don’t abide other wolves encroaching on their turf, so a wolf howl will usually get a challenging response and maybe even bring a pack within shooting range. A friend was elk hunting last fall in Wyoming when he heard a wolf howl reasonably close. Not one to be caught without a predator call, he pulled out a coyote howler and answered back, even though there is no sport hunting for the state’s overpopulated but federally protected wolves. He knew he couldn’t shoot, but he wanted to see how the wolves would respond. Within the hour, he was surrounded by a large pack of wolves. He was a little apprehensive with a dozen or more agitated wolves roaming around his stand in the gathering darkness, especially since he faced a half-mile hike in the dark to get back out. Wolves rarely pose any direct threat to human safety, but human and wolf encounters are getting more common in the American West, and when the wolves get thoroughly habituated to being around humans and lose their fear of people, that may change. A good friend who has spent a lifetime living with and photographing wolves in northern Minnesota and Canada believes it’s only a matter of time before these wolves start considering people a huntable species, especially in areas where wolf numbers are growing but their relentless predation is wiping out the prey base. The Canadian transplants out West have adapted well to a diet of vulnerable U.S. big game, livestock and pets.